Johannesburg Mayor Herman Mashaba on Tuesday welcomed a Johannesburg Roads Agency (JRA) board decision to adopt a series of forensic investigations that implicated the entity's top management. Disciplinary processes were established and the implicated individuals, including the current managing director of the JRA, were suspended, the mayor said in a statement. The investigations were initiated following a Carte Blanche exposé in the first half of 2018. The City appointed Nexus, an external independent forensic firm, to handle the investigation. Despite anticipating the swift conclusion of the investigations, they were only finalised in February 2019 due to the voluminous nature of the investigations, compounded by the dated matters under investigation, Mashaba said. According to Mashaba, the cases relate to appointments inherited by the multiparty government. "The reports found that senior management within the JRA, including the current MD of the entity, who was the CFO at the time the events were under investigation, had flouted provisions of the Municipal Finance Management Act (MFMA). "The most notable of these matters included the repairs of the M1 double-decker bridge awarded to White Hazy in 2015. "The investigation has revealed that the company's bid was fraudulent in that claims of personnel and relevant experience were falsified. "In accordance with the forensic report, a criminal case has been opened and a submission made to National Treasury to blacklist White Hazy as a service provider to government," said Mashaba. After they were unable to complete the work, the JRA adopted a resolution to terminate the contract. "Rather than retaining all monies owed and the bank guarantee as collateral to protect the losses in JRA's investment into this project, these monies were returned to White Hazy and the bank guarantee was not utilised as collateral counter to both legal opinions and the MFMA. 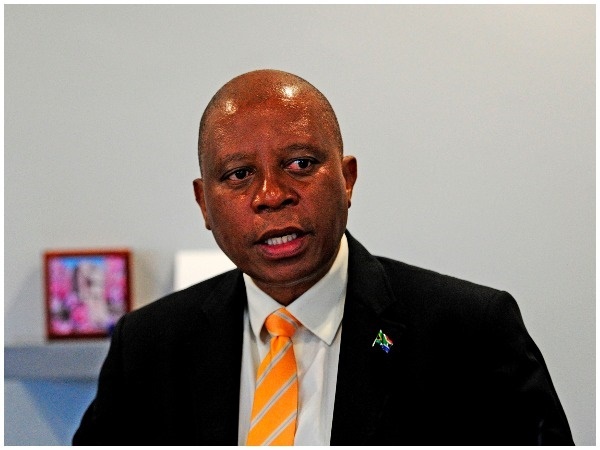 "While it is important to ensure that a fair disciplinary process runs its course, I have asked the City manager to ensure that every effort is made to ensure it is handled expeditiously," Mashaba said. "The stability of JRA is essential to the performance of the City in addressing the inherited backlogs in our road network with over 4 000km of roads and over 700 bridges in poor condition. "I would like to take the opportunity to acknowledge the leadership of the MMC for Transport, Councillor Nonhlanhla Makhuba of the IFP. "As a valued member of our multiparty government, MMC Makhuba has demonstrated her commitment to ensuring there is accountability for alleged acts of wrongdoing. I would also like to appreciate the board of the JRA for their commitment to the values of this multiparty government, with decisive decision-making to protect the JRA and residents of the City of Johannesburg," Mashaba said.